Have you ever wondered what it’s like to have a career as a commercial diver who can weld underwater? Commercial diving is an exciting and lucrative career for veterans, ex-military, and any adventure-seeking individual who desires more than just your average nine-to-five job. As a Commercial Diver and underwater welder, you will be expected to perform under the most challenging of circumstances, requiring the diver to be highly trained, certified and to be in peak physical and mental condition. As you embark on your commercial diving career, you will find most commercial divers are employed by leading diving contractors. Commercial Diving and underwater welding jobs vary, however on a typical day, you might find yourself reporting for duty at the dock with all of your gear. 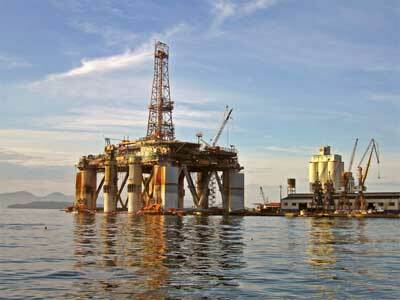 From there, a transport vessel will take you to the work site – perhaps many miles offshore. Once you’re at the dive site, you will then suit up, run through your checklist, and then dive into the water. Once submerged, you will descend to the proper depth, review your project, report to top-side, and then go to work making the proper repairs/welds needed. After the job has been completed, you will communicate with top-side that the task has been fulfilled, and will then begin making your ascent towards the surface. If necessary, you may complete in-water decompression and upon surfacing, enter into a decompression chamber to ensure you do not display the symptoms of decompression sickness. This results from bubble formation (similar to that in a carbonated beverage) within the tissues of the diver! According to the Bureau of Labor Statistics, commercial divers and underwater welders have a mean (average) hourly wage of $26.32, while the mean annual wage is approximately $54,750. Additionally, the top percentile (90%) can make approximately $93,910 or more. 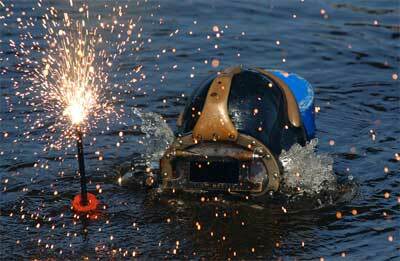 To view more interesting facts and statistics about underwater welding careers and commercial diving click here.